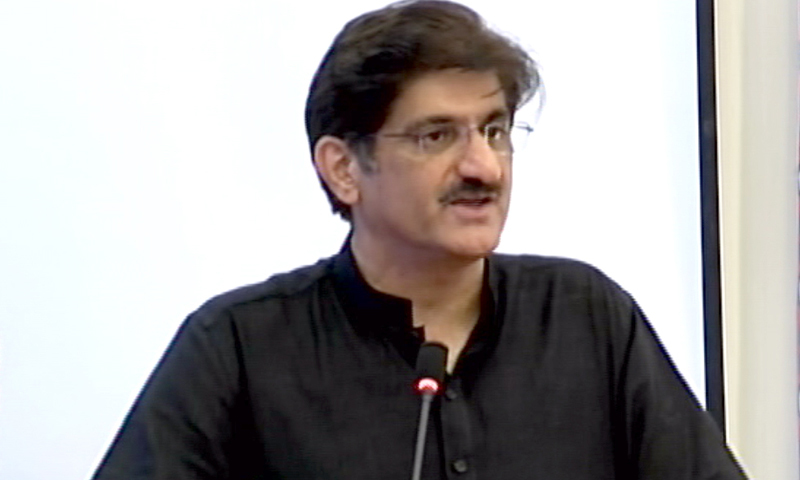 KARACHI: Sindh Chief Minister Syed Murad Ali Shah on Monday said that Prime Minister Imran Khan would have to sign a Charter of Democracy (CoD) in order for Pakistan Tehreek-e-Insaf (PTI) to get the chairmanship of the provincial Public Accounts Committee (PAC). Addressing a session of the Sindh Assembly, he said that he had discussed the matter with Leader of the Opposition in Sindh Assembly Firdous Shamim Naqvi but no agreement could be reached. “The reason is that the leader of the opposition in Sindh demands things which are undemocratic,” he said. The provincial chief executive said that the assembly members had the right to the chairmanship of committees and the provincial government could offer the chairmanship of some committees to the opposition but it could not change the composition. He, however, said that the provincial government led by Pakistan People’s Party (PPP) would not give the chairmanship of the provincial PAC to PTI because they had not signed the charter of democracy. CM Murad then offered PM Khan to sign the Charter of Democracy. “Come and publicly sign it and say I recognise the Charter of Democracy signed by Benazir Bhutto, and take the PAC,” he said. He added that before asking for such things, the premier should first sign the document and say that he believes in it. He said that Pakistan Muslim League-Nawaz (PML-N) and his party had signed the Charter of Democracy in 2008 whereas Muttahida Qaumi Movement (MQM) and Pakistan Muslim League-Functional (PML-F) had not signed it which is why the government was not bound to give them the chairmanship of the provincial PAC.